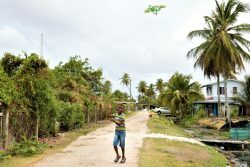 Two Field is a small community of some 50 households situated at the far end of Patentia on the West Bank Demerara. 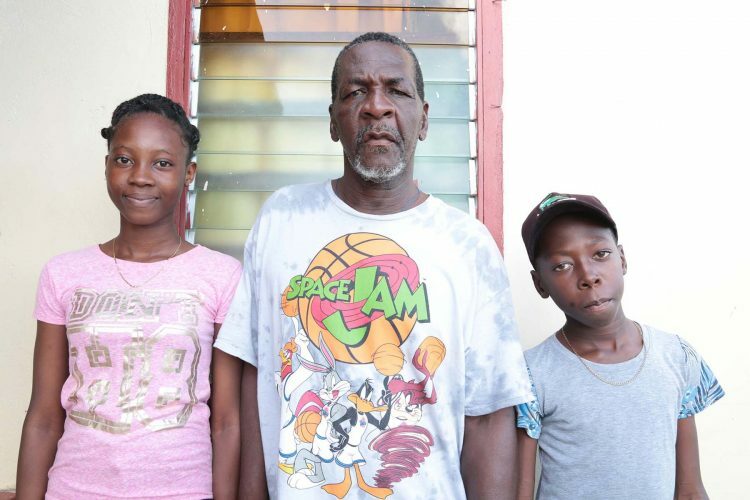 These homeowners were randomly selected by the Guyana Sugar Corporation (GuySuCo) after many years of dedicated service at the Wales Sugar Estate. According to residents, sometime in 1995 the names of workers with the required amount of years of unbroken service at the estate were put into a bag, shuffled and selected. 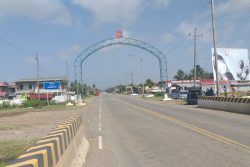 Afterwards two sugarcane fields were reclaimed and restructured into a housing settlement, hence the name of the village. 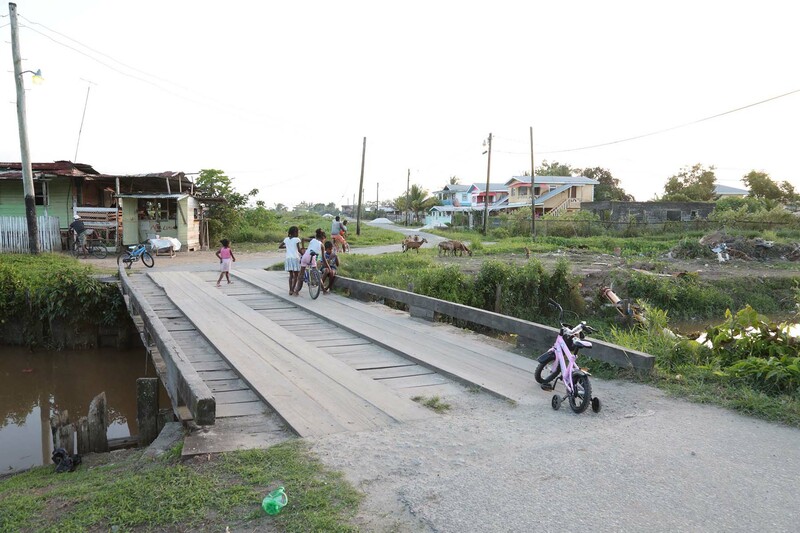 To get to the community, one stops off at the bridge opposite the Patentia Nursery School, walks to the fourth street and turns left. A broad bridge leads into two villages: Skull City on the left and Two Field on the right. Two Field has three streets running horizontally; Third Street being the one closer to the access to the village and First Street, near the canefields. Walking across the bridge, I could hear voices raised in anger. 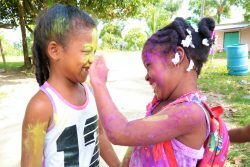 Nothing stirred in Two Field, but across in Skull City, persons, possibly neighbours, were hurling profane language at each other, while children looked on. 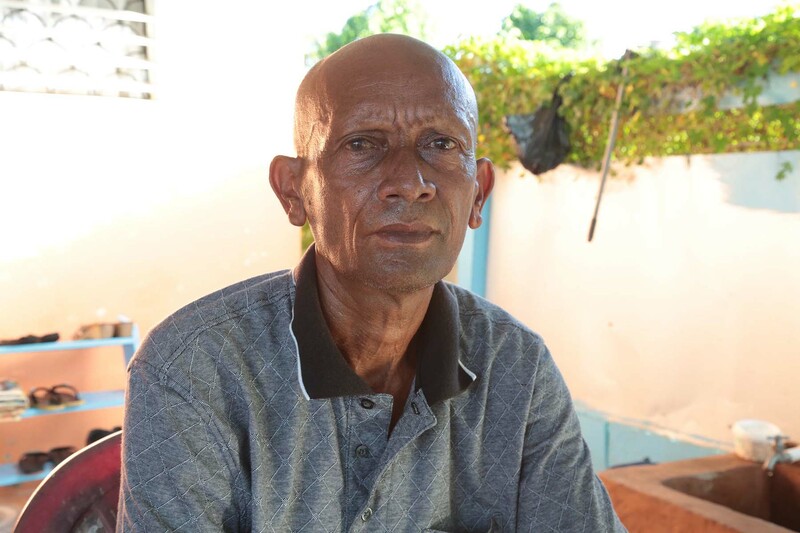 Amar Ramchand hails from Mon Repos, East Coast Demerara and had moved a number of years ago to Sisters Village, West Bank Demerara before being one of the lucky 50 to have the opportunity of owning his own home. “When we come here in 2000, it hadn’t plenty people living here. It had already had water; that is one of the beautiful things them do fuh we. Not long after we form a group and went to Shaik Baksh [then minister of housing] to talk about getting light. About six months after we get light here. The road was the red road then,” Ramchand said. The man added that though the atmosphere was peaceful in his community, it was often disturbed by commotions from Skull City. For many years, Ramchand worked as a cane harvester at the estate. He said he was only eligible for old age pension in 2017 and with the sugar factory being closed the year before he struggled to make ends meet with odd jobs. He eventually began working with the local authority. The money, he said, was far less than what he had earned at the estate and he was required to work for eight hours when for many years he worked just a few hours and was back home by lunch. Ramchand said the village is relatively safe. However, he said, a few days before Old Year’s Night someone had been trying to break into his house. The intruder had removed the louvres from a window but was deterred by the bars behind them. The noise had awakened him, and he got up and managed to scare the person off. The following day he found a t-shirt the intruder had left behind. In the evenings, he noted, young men tended to hang out at the bridge and that there had been reports of persons being robbed when crossing the bridge at night. He believes frequent police patrols and streetlights would help. The community has one church which is kept in a shed attached to one of the homes. There are no shops in the village. 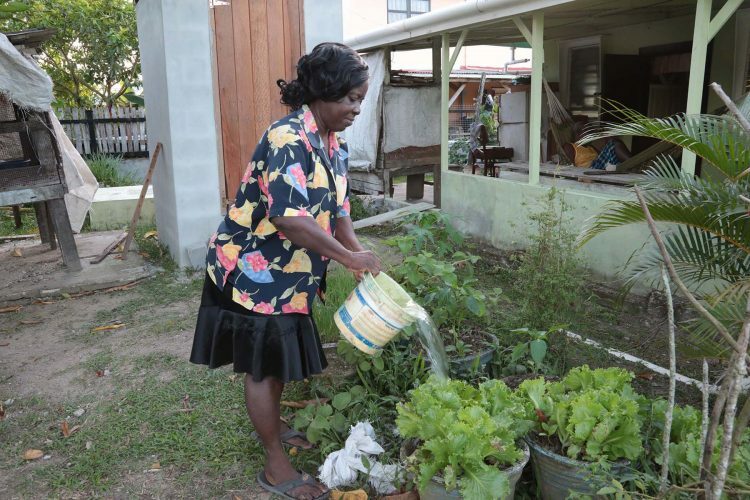 Residents venture into Old Scheme, Patentia when they need groceries and visit the market on Saturdays which is also located in Patentia at the ‘Big Bridge’, obliquely opposite the Patentia Secondary School. The schools too are in Patentia, about a 10 to 15-minute walk from Two Field. Ronald Brummell sat on a bench outside his yard in Second Street. He warmly greeted me enquiring about my reason for visiting his village. Brummell moved to Two Field 15 years ago with his family. 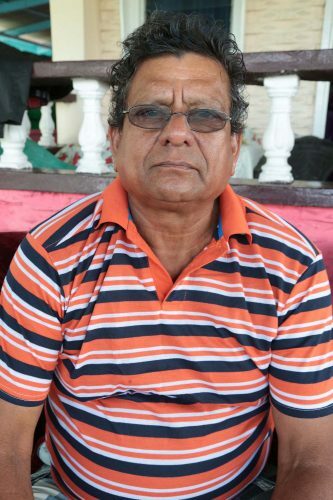 He hailed from Lima on the Essequibo Coast and had moved to Wales to work at the factory. “This area is a quiet area, a really nice area,” Brummell said. “Since we living here, we never get any problem with anybody. Everybody cooperate and look out for each other. Strangers can’t come into this village like that. The only thing is them boys that does want to be sitting at the bridge [leading into the village] smoking and when them children passing they throwing bare slangs at them and is bare girl children living here. You got to be careful with them boys; that thing ain’t nice what them doing. We ain’t got no streetlights here. When it get dark you can’t send out you children in the night.” He mentioned that they have had instances in the past where persons attending weddings in the village were robbed of their jewelry while leaving, adding that he was certain th thieves do not reside in the village. Brummell explained that he does not live in the village although the place is his. He lives in Sisters Village but often visits with his children in Two Field. 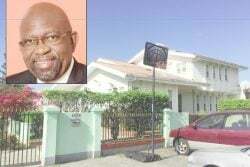 He recalled paying $47,000 for his plot of land adding that the money was deducted from his wages. He worked as an operator in the factory prior to his retirement. He retired in 2006 and has never worked anywhere else to this day. At 72 years old Brummell depends on his Old Age, GuySuCo and NIS pensions to take care of himself and his common-law wife. 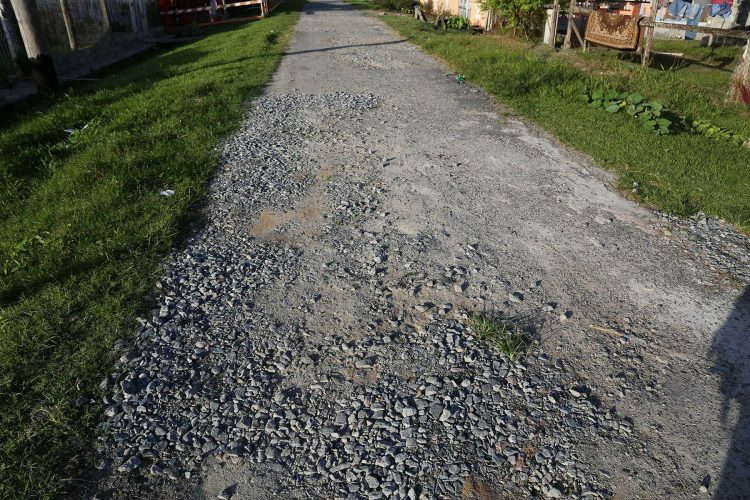 Many of the persons in the village, he said, work doing a bit of construction, taxi driving and other jobs. Most of the persons who would have attained the house lots in Two Field are either retired or have almost reached retirement age. Joseph Persaud sat in his ‘bottom house’ looking out while his wife watered the plants in their backyard. He worked for 40 years with GuySuCo until last year. He worked as a Chain Boy dealing with punts in the backdam. “Watch me ain’t know whuh them man shut down this estate fuh,” he complained. “Since me a lil bai ah grow up and guh school this estate here. People used to come from Linden and Berbice and stay in the logies at Squatting Area during the week and pun weekend they gone home to them family and come back fuh next week. Since them shut down this estate me nah work back. Me guh all over looking fuh work and them seh ‘yuh too big’; 59 years old me deh. Them tell me, me can’t get work, me can’t get job, them can’t do nothing fuh me. Me ain’t reach age fuh estate pension. Them seh when me reach 60 year. “Me start work the 5th of May 1977. Me do all kind of wuk. Me cut cane, me weed grass, be chain boy, me do all kinda wuk.” He said he was also due to receive NIS pension at 60. However, he is upset that when he checked with NIS recently, they told him he only had 1,488 contributions and he believes he should have somewhere around 1,744. 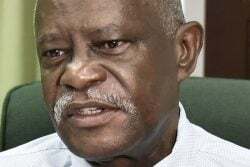 He added that he was not pleased, noting that he worked for a reasonable amount of money and sometimes found himself paying $25,000 in PAYE tax and NIS per week. He added that his wife helps to take care of their family with the cash crops she plants in their kitchen garden. She sells to persons in the village and in Patentia. He, too, complained about the young men who loiter on the bridge requesting that something be done about it. He noted that they were not there during the day, but at nights they line both sides of the bridge. Persaud said he was robbed there and pleaded for tighter security in the area. He also requested that the roads be capped, as the loose gravel tempts children into picking it up and throwing it away. At one house where calypso music belted from speakers, Troy Richards was hanging out with relatives. 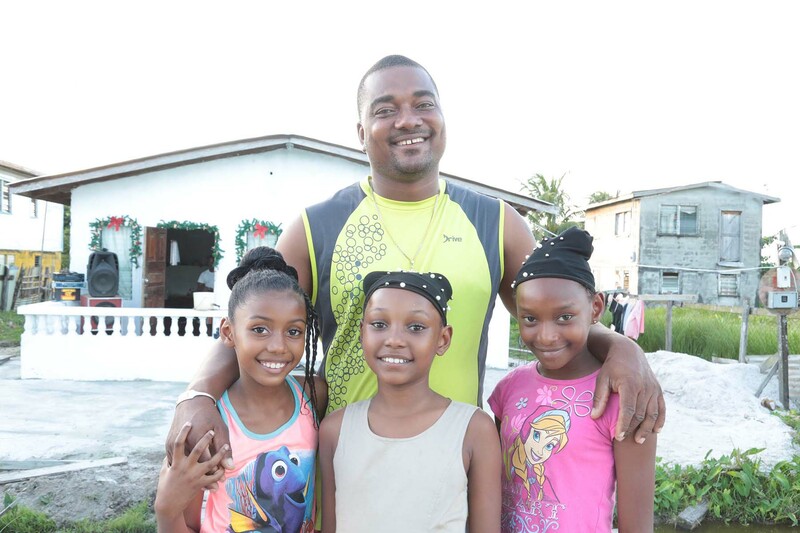 The man who hailed from Patentia Housing Scheme, moved to live in Barbados a number of years ago and returns to spend Christmas in Guyana as often as he can. “When I come here, I try to eat as much fish [as possible] especially bush fish cause in Barbados it only got three kind of fish. You’ll get yuh lil Banga Mary or Marlin and Dolphin and as Guyanese we already ain’t custom to eating them kinda fish. Only yesterday I buy some bush fish,” he said. 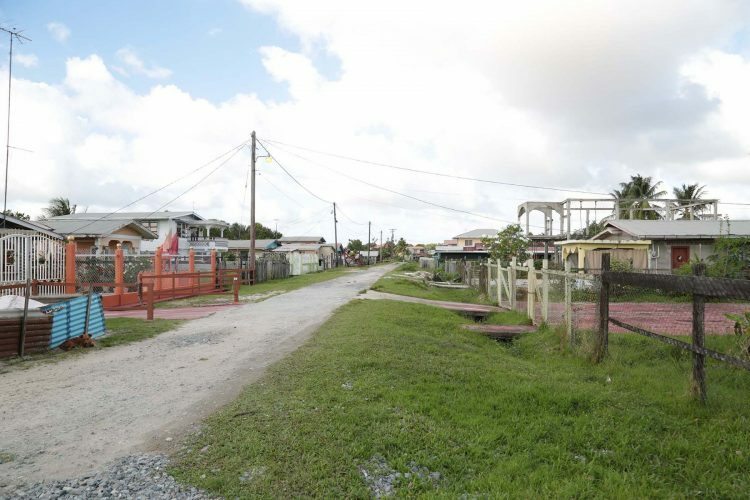 Richards, who formerly worked as a lab technician at the West Demerara Regional Hospital, said his uncle was working at the estate at the time the lots were given out and was allocated a plot. He passed on a few years ago. “It’s a big challenge when it comes to work. 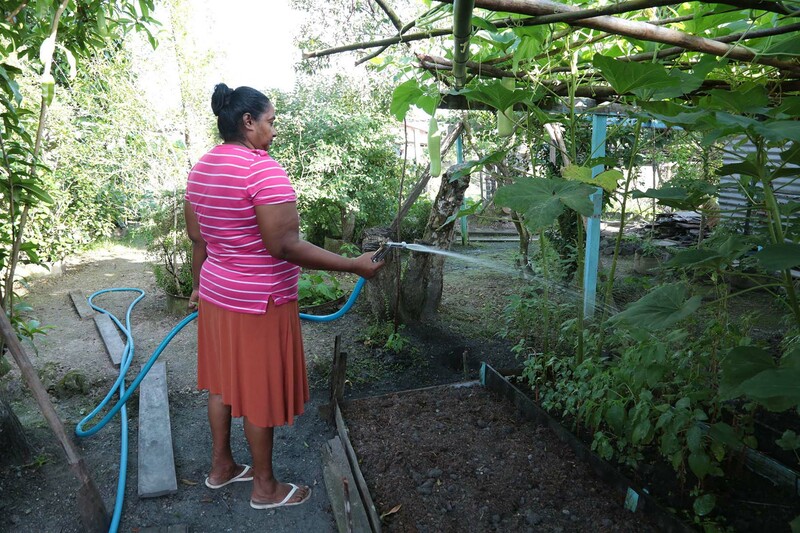 The estate was everybody’s livelihood having grown up in this neighbourhood. Everyone depended on it. That was one of my major concerns when I hear that the estate closed down. I imagined the amount of people who will be suffering in the village. It brought about some huge changes. Now a lot of young people walking about the village and causing a lot of stress and problems in the area. I feel the young people are different from when we were growing up. I don’t know if it’s because of the system or because them ain’t getting work or if it’s their training but they are living a totally different life than when we were kids growing up,” Richards said. He pointed to persons loitering on the bridge being a problem for villagers. Earlier that same morning he had an issue with one of the boys who had been fingered in a few robberies and recently came out of jail. 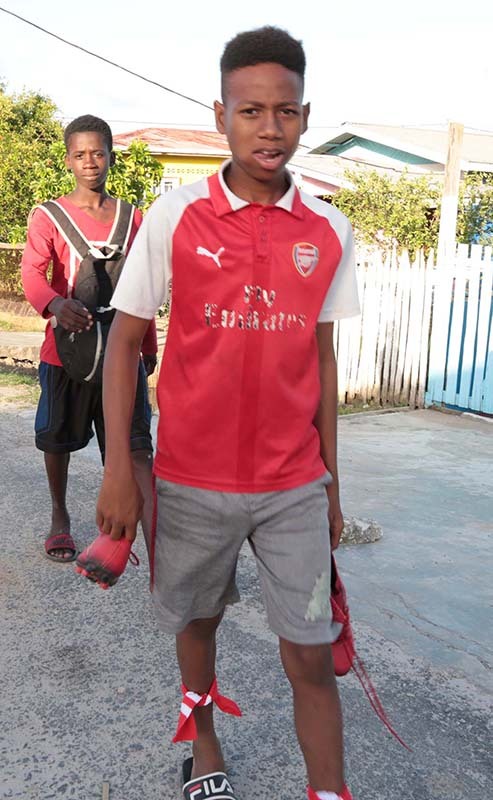 The youngster, he said, had pushed someone he had sent to the shop off a bicycle, so Richards and a number of other relatives and friends went over to his home in Skull City to talk with him and his parents. 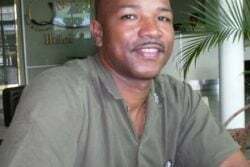 When asked whether he planned on returning to Guyana to live, Richards said he doubted that would happen but he was sure to be home at Christmas time for the sake of family and friends and pepperpot. Debarrah Williams was watering her lettuce. 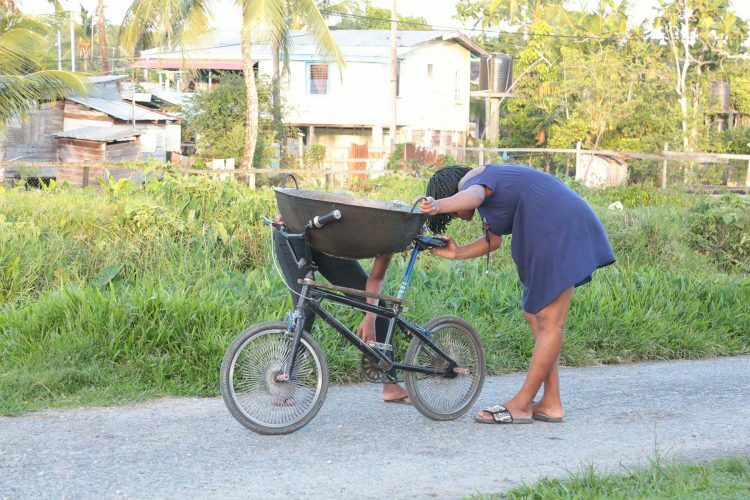 A former resident of Meten-Meer-Zorg, West Coast Demerara, she worked in the backdam as a weeder. Her husband, who was resting in a hammock nearby, worked there also. They are now retired. Two Field, the woman said, is a much more peaceful atmosphere than the village she came from. Williams added that she likes that she can walk to her church in Patentia. Living in Two Field, she noted, is convenient for her and her husband. She spends her day quietly doing chores and taking care of her plants.